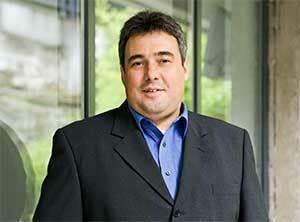 You are at:Home»In the News»“Bamboozled” by BIM Terminology? Many people embarking on a BIM project for the first time, find the new terminology, number of acronyms, and amount documents required, quite daunting, confusing and seemingly overly complicated. “A lot of what the BIM process is trying to do, is not really that new. It is stuff we have been doing, or should have been doing anyway, as part of good design or project management” says Ralph Montague, “it might just have a fancy new name or standardized acronym that you need to get used to”. Before we get into the detail of BIM, and start feeling completely overwhelmed and “bamboozled, it is good to take a step back and remind ourselves “Why” we want BIM in the first place. It’s because we want better project outcomes. Better communication and sharing of information. Better understanding, coordination, analysis, performance. More certainty. Less risk, cost, duplication, waste, abortive effort. Reduced delays, variations, disputes. In short – Better Buildings, Built Quicker & Cheaper. Keep reminding yourself, “It is worth the effort”, while you work through the detail below. BIM is mostly about good design or project management principles. Clients would document “what” they want in a brief. Suppliers (designers and contractors) would document “how” they will provide what is required, as part of a tender submission, technical submittals, procedures, or responsibility matrix. Clients would check, or confirm, that the proposed team were capable of delivering the project, before appointing them. There would be a “contract” agreed between the parties, with a scope of service, and list of deliverables. When the project stage was delivered, it would be checked against the initial requirements, to see if you delivered what was required. If so, then you got paid. The client defines their information requirements, or “what” they want, in the Employer Information Requirement (EIR) document. Somebody is put in charge of the information delivery process, called the Project Information Manager (usually the lead designer at design stage, and the main contractor at construction stage), and given specific duties. In order to easily, and continuously, coordinate, collaborate, share and check the information provided, a carefully managed, central repository of approved project information is put in place, called the Common Data Environment (CDE). This is managed by the Project Information Manager (see 5 above). The CDE includes graphical data, non-graphical data and documents – in order words all project information (not just models & drawings). At design/construction stage, the information in the CDE is called the Project Information Model (PIM), and at post-construction or operations phase, it is called the Asset Information Model (AIM). So where is all the above set out? In “standards”. BS1192 is a British Standard – a code of practice for the collaborative production and management of architectural, engineering and construction information. It should guide what we do. PAS1192-2 is a “Publically Available Specification” for Information Management for the Capital Delivery Phase of Projects, when using BIM. What does that mean? A specification is a document that tells you “how” to do something – so PAS1192-2 tells you how to manage building information during design and construction phase. PAS1192 part 3 deals with managing information during the post-construction or operations phase (a topic for another day). 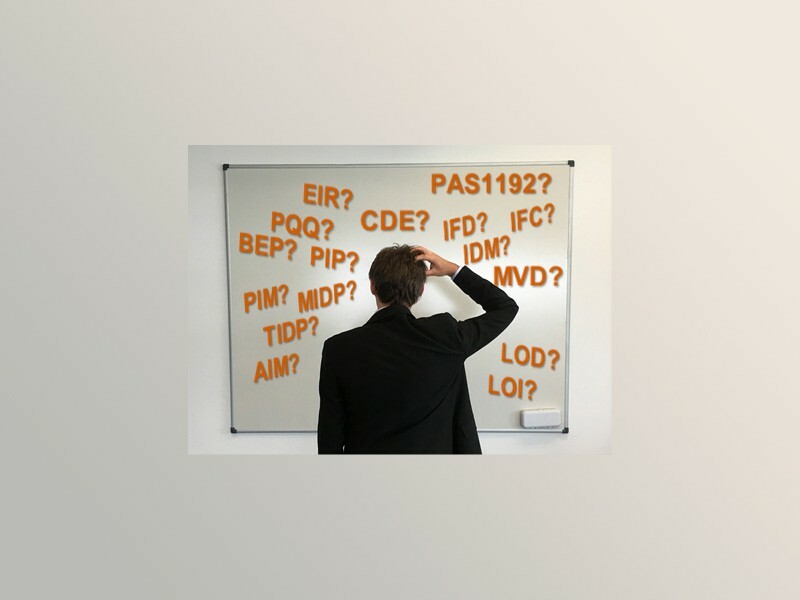 In simple language, PAS1192-2 tells you how to carry out the 6 steps outlined above, in a bit more detail (with a few extra acronyms and steps). [it is important to note that the International Organization for Standardization (ISO) are currently drafting ISO19650 based on BS1192 & PAS1192-2. There are some other standards to consider, like BS1192-4, PAS1192-5, BS8541 Parts 1-6, BS8536]. Who wants to know the detail on standards? It is worthwhile making a point here about standards. Technical standards are the reason things work well. We all know this. Take TV broadcasting, mobile phones or the internet as examples. The reason I can get so much useful information, almost instantly, in any browser, on any device, is because of a standard called HTML (Hyper Text Markup Language). Now as a user of the internet, I’m not that interested in the technical details of how HTML works, but if I was a web designer, I would need to be intimately aware of the detail of HTML, in order to deliver the user experience of the internet, to clients or users. Whether I understand the technical detail of HTML or not, I fully support it, because it makes my internet experience better. Standards make our lives better. We all need to promote and support common standards. Similarly, as a client or building user, I may not be that interested in the underlying technical standards of BIM, I just want the information about my building to be “digital, searchable, accessible, accurate and useful” (like the internet). As a client, I expect my professional team, who I employ, to be fully aware of the underlying standards that would make this possible. As a client, I need to fully support and endorse BIM standards, even if I don’t understand the technical detail, because I know it will make my building information better. As a client, I have a role to play, and may need to understand enough to be able to ask the right questions, and get the right result. Some more detail on Digital Data Management. With BIM, we are talking about “digital information” about buildings – that means information that computers can understand. As humans, we can look at a collection of symbols, lines or arcs on a printed page or drawing (called analog data), and interpret or read what that is trying to convey, in our own minds. But that is no good to anybody else. It is open to misunderstanding and human error in interpretation. Analog data is slow and cumbersome to process ( you have to print it out, and read it page-by-page). Analog data is definitely no good to computers. Computers don’t “interpret” things (not at the moment anyway) they are precise (on/off, yes/no, 0 or 1), so when we are creating digital information, we have to use the same language (structure, classification, dictionary) that a computer understands, and we have to provide the required values, or attributes, that the computer is expecting, or it won’t work. A digital database of building information needs to follow standards. As a client, how do you ask your project teams to provide “information” in a neatly organized structure (schema), using a naming convention (dictionary) that computers will understand? How do you ask for useful, accurate “digital data”? That’s very nice, but what does this mean to me, as a client? I don’t want to have to study and understand the technical detail of these standards, I just want ask the people I’m employing, who are responsible for producing information, to do so in a way that works, in accordance with these standards, and I want an easy way to know that they are doing their job properly. It is a “plain language”, easy-to-use, free online tool, that allows clients to define and manage their project requirements, down to the “component” or product level, in a digital format, that already complies with the ISO standards mentioned above. It provides a single and central place to document “What, When, & by Who” – to produce and manage the Project Details, Stage Details, Participants Details, Roles/Responsibilities, Tasks, Deliverables, Classification, Level of Graphical Detail (LOD), Level of Non-Graphical Information (LOI), required for each building element, for each stage. This provides clarity and transparency for everyone, as to what is required, expected, and what should be delivered. It all provides a useful digital “checklist” of components, already correctly coded and classified, to easily cross-compare against BIM deliverables supplied by your design and construction teams (provided those BIM deliverables also comply with the standards above), to “computationally” confirm compliance, completeness and continuity of information at each stage (i.e. let computers do automated cross-checking across 1000’s of deliverables in seconds). Before the NBS Toolkit came along, all of the above information had to be produced and managed manually in separate Excel documents, for each individual supplier or discipline, called Task Team Information Delivery Plans (TIDP), which would then be brought together in a Master Information Delivery Plan (MIDP) by the Project Information Manager. And checking project deliverables against these was a time-consuming manual procedure. Now, the TIDP & MIDP referred to in PAS1192-2, can be produced, developed and managed in the online NBS Toolkit. I’m not trying to over-simplify BIM. I know it is challenging. Yes, there are new standards and processes, new terminologies and acronyms, but in essence, BIM is about practicing good design and project management, while producing, managing and exchanging “digital data” about buildings in a more standardized, coordinated and collaborative way (that makes the information useful to others). The important point, is that everyone has a part to play in this new world of “Digital Construction”, from the client, designer, contractor, supplier and manufacturer. Still “Bamboozled”? – Go back and remember “Why” you want BIM! How Many Acronyms have You Learned Today?